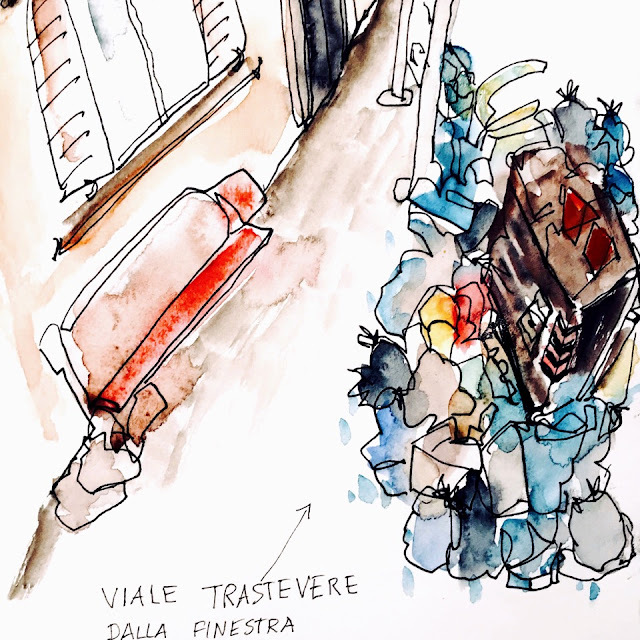 [Guest post by Marina Misiti in Rome] From Christmas Eve, we have another waste crisis in Rome, with trash almost everywhere, and scenes of overflowing bins and bags spilling out their contents. I've drawn the shocking contrast of monuments like the Coliseum, one of the most visited spots by tourists, ever, or the historical bridges and the abandoned banks along the Tiber river - where we also have a cycle lane and the household rubbish accumulated in every corner of the city. Even in the very historical centre of Rome, in the well known Trastevere neighborhood (here the trash and the abandoned furnitures below my window!). 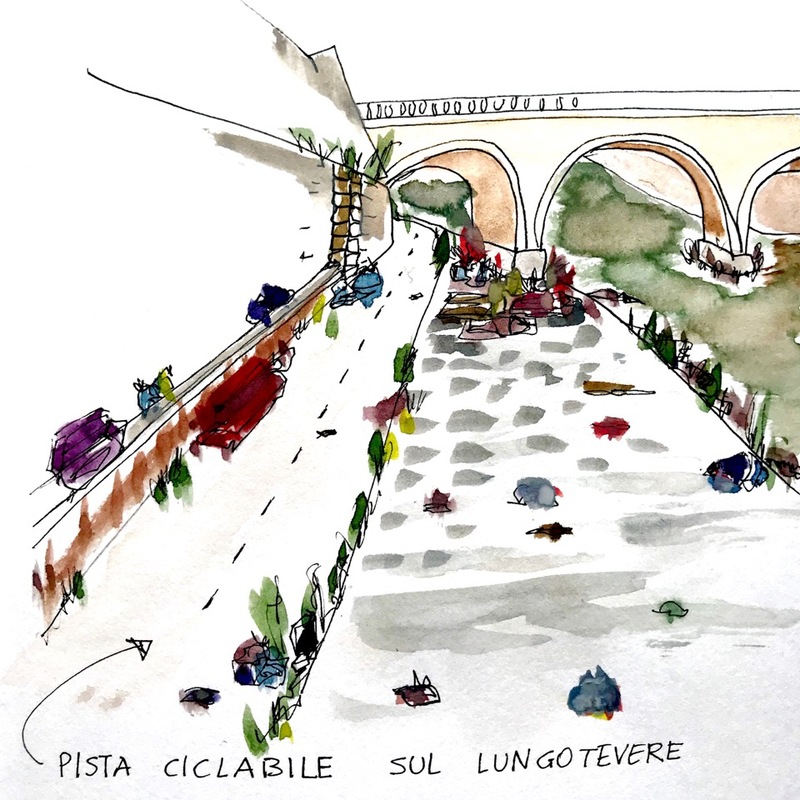 However, these issues are not new in the Eternal City, and for residents, this is a confirmation of the failures of the town council whose officials keep promising — and failing — to get the problem under control, only becoming a political battle. 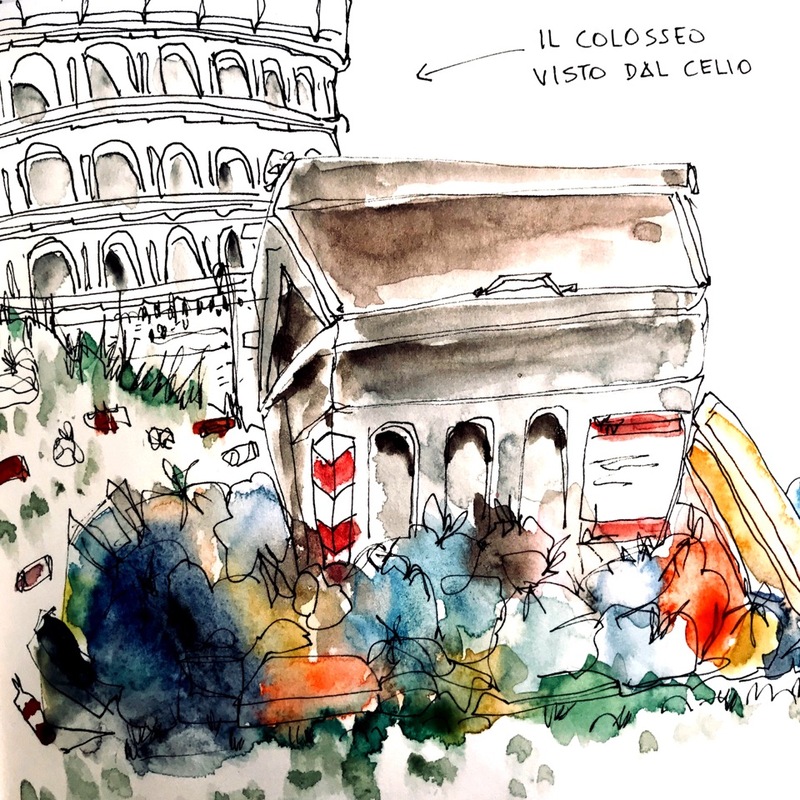 Romans and tourists just want the city cleaned up.